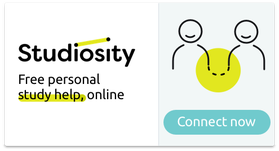 Campbelltown Library provides free Studiosity online study and assignment help from qualified tutors. Subjects include Maths, English, Science and more. ​If you are not already a member it is well worthwhile to pop into your local branch and join up. It's free! Don't forget our Homework Centre that runs here in the school library on Thursdays after school. Pop into the library to collect a parent permission form.